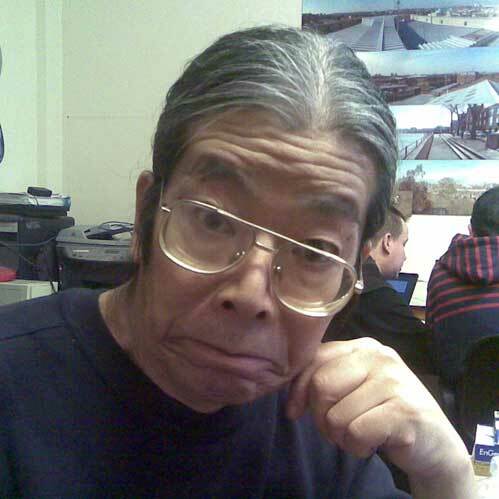 One of our regular contributors at Wireless Wednesday workshops is the enigmatic engineer and experimenter YoshiZen. Last visit he returned with a working configuration of the theramin kit donated to Deckspace by BMS. Some considerable amount of fiddling later we have the latest addition to the growing set of electronic sound toys to squelch and scream with. Yoshi has an unfortunate record with our nations ISP’s and most recently has taken to a 3G dongle but which still frustrates him and obstructs easy access. Turns out the ‘helpful’ vendor software was doubling up the request for connection when in fact he was already linked up. In the past BT, Sky and Virgin have all failed to support his basic access needs the latter spoiling his credit worthiness with their incompetent administration – so whats new. We are geting used to the idea of pop up this and that so when Dr Duncan Reekie called to say he had found a cinema space in Bond House Studios, New Cross Gate for three weeks I was all ears. Now rather than make a note of this in advance and post it here it has taken till the passing of the 6th screening of the Pullit Group Art Show for me to comment but hey!. I made it to 4 of the 6 show the last one being this months Exploding Cinema which was the best attended no surprise. The plan is to appeal for extension to the exhibition licence and run a regular open screenings and invite other groups to fill the schedule starting June, finger crossed. My current mobile phone is a HTC hero on the T-mobile network and last week I installed a web server and FTP server so that Paddy’s avahi port we installed last week has something to advertise. We meet in Deckspace each Thursday to hack around with phones and networks not least to explore mdns and zeroconf over wireless and integration of android hosted services so if you are interested get in touch and join us. I have spent a lot more time than usual this week looking over community web and social networking sites where tallbastard has active accounts and as a consequence am renewing links with friends and collaborators I had let slip whilst squirreling around on my OWN in SE8. Today was no exception and it has resulted in several intriguing discoveries. Not least is Booki.cc ba clean and simple publishing model which Adam Hyde has been fostering alongside the very successful flossmanuals.org initiative. I also ordered a copy of OpenWeb, the product of a recent BookSprint which reviews reality of Web Openness and its slippery slope which you can find out more about here.. go on! Leader of the Starry Skies – ‘Songbook 1‘ and ‘A Loyal Companion‘ are both compilations of Tim Smith compositions* each track covered by friends and admirers now released to raise funds and awareness of his plight. Its been nearly 3 years since Tim’s ‘night out’ ended up in tragic circumstances and following a concussion of stroke related consequences remains bed bound and in need of specialist care for the foreseeable. Lets hope the cash raised by the sale of these ‘songbooks’ will go some way toward the support he will need for health and home in the future. Cardiacs are on hold indefinitely with ABC just ticking over at best.. still reeling. Lets hope Tim is well enough to get home soon! Great to see some attention being paid to these releases with further compilations to follow as contributions are still being made. It would be great to see more press attention with so many great tracks and such a fantastic effort form all concerned to get it together.